Fasting started as a religious practice, especially during the period of Lent. It incorporates abstaining from certain or all kinds of food and focusing on penance. However, in the current scenario, it has developed into more or less a fad; a way of losing weight fast by starving yourself. There have been many debates on the benefits of fasting and whether or not they are enough to overlook the potential hazards that it entails. But one thing is sure: people aiming to lose weight have definitely given this a try, at least once in their lives. One of the main reasons why it affects everyone so differently and why it is still a matter of controversy- is because everyone’s body is different. We all react to a diet differently and so till now it has been impossible to say to what extent fasting is helpful or harmful. Those who are staunch supporters of fasting argue that weight loss is not the only aim/benefit of fasting. It has also been shown to bring down the insulin levels in people who have insulin sensitivity, as well as bringing down the levels of triglycerides in our body. And most strangely of all, it has been shown to considerably slow down the signs of aging. In fact, fasting is no longer just a crass exercise where a person just stops his or her intake of food. It has been developed into various regimens or fasting plans. Each with their own set of rules and time limits. For instance, the intermittent fasting method involves eating all your required calories within 6-8 hours and then avoiding food for the rest of the day. And there is also fasting plans which involve not eating anything for an extended period of 2-3 days. Now all these fasting regimens are different and there are experts out there who determine what you need. In short, there is no one size fits all description which might do the trick. On the other side, there are also those who warn against the dangers of this quick fix. Many nutritionists believe that fasting does more harm than good because it also stops the intake of healthy nutrients in the body. Because fasting means that you are not only abstaining from potato chips and other fried foods but also necessary components of the food groups such as vegetables, fruits, lean meat and healthy fats. Not to mention that when you deprive your body (and mind) of everything, you run the risk of going on a rebound, eating anything and everything that you get your hands on. This sort of binge eating is very common after a fasting routine and sadly for many who start in the first place with a view to losing weight, end up gaining weight. But, a new research might move all these concerns to the side once it has been verified with enough tests and reaffirmations. This particular research was carried out at the University of Southern California and its findings are enough to make everyone stop and take notice. For the purpose of this study, participants were asked to fast for a period of 2-4 days, regularly, for an observation period of 6 months. Well, this was the first leg of the experiment and the results seem to be very promising. It was observed that the participants had lowered productions of the PKA enzyme in their body, which has been associated with cancer and tumor growth risks. 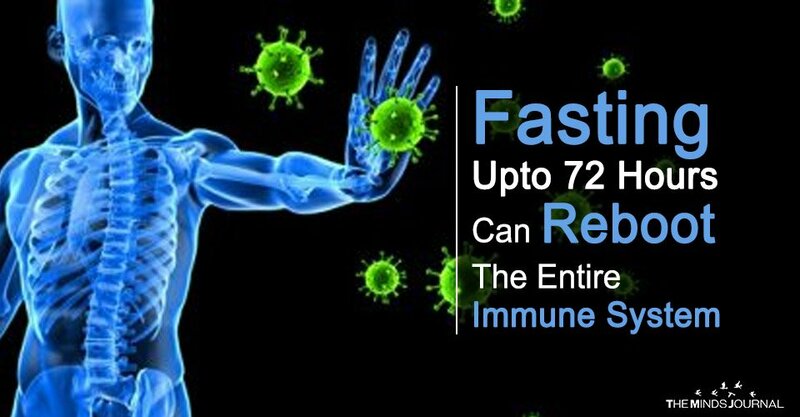 Not just that, it was also observed that the immune system of those who took part in the study seemed to have undergone a complete reboot.